For the last week it’s feels like my life has been all about opendata. My immersion into the world of open data that started last Friday with my trip up to Leeds for the DataDive, continued with two events driven by open data. Monday, and I was in sunny York (very nice place to set up office for the day) for the launch of York City Council’s YorkOpenData portal. York, and the localTV station Hello York, are part of the Media Mill project I’m research partner for. Ian Cunningham, Group Manager of the Council’s Shared Intelligence Bureau, introduced the session, with an invite for everyone to pitch in and help them understand what data would be useful to ‘open’. It came with an honest (and open) assessment of the realities of dealing with open data – the phrases ‘we can’t do it all’ and ‘we can’t be all things’ were common. But regardless of the cautiousness, events like this and honest intentions are important in starting to build the networks you need to make open data work. The next day, I heard that message echoed around the conference room at the Museum of science and industry in Manchester. I was there for the Local open data: Reaping the benefits event. 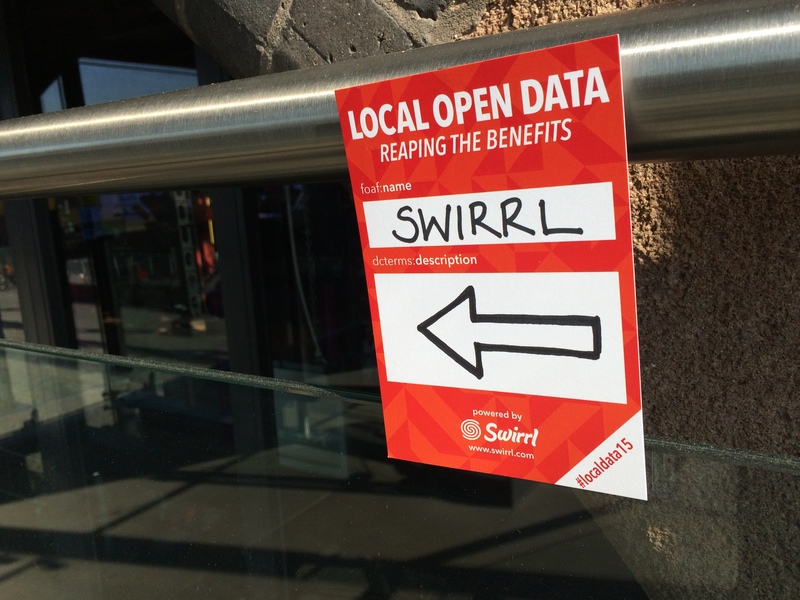 The event, organised by opendata platform people Swirrl (a round up of tips from the event is on their blog), saw a range of local government themed presentations sharing best practice and ideas around building value in open data. If there was a key theme that emerged from the event, it was transparency. More specifically the problems that the focus on the transparency agenda causes open data. Part of it is practical – servicing the central government demand for Key Service Performance Indicators is resource heavy. 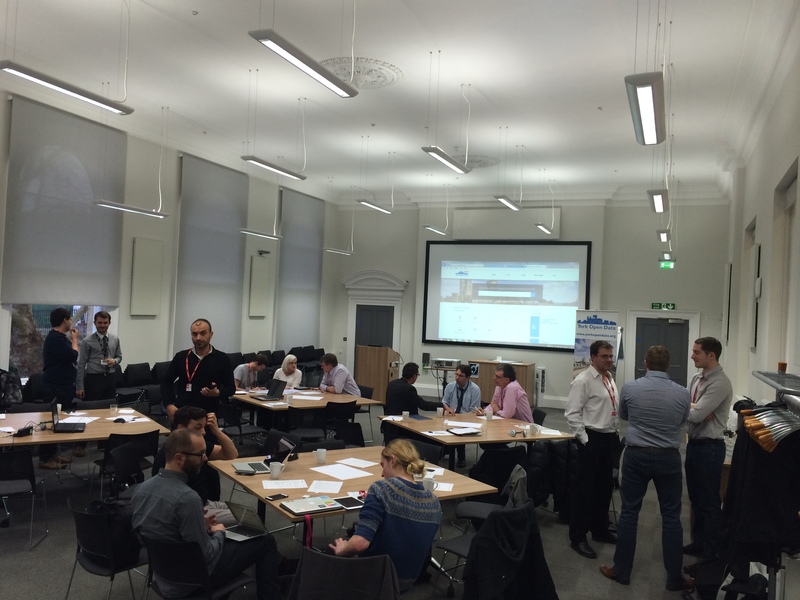 Open data is seen as a time consuming extra when you’ve got a council to run. It’s an interpretation of transparency that also seems to hoist a lot of idealogical baggage onto open data – Transparency and open data are often synonymous in much of the rhetoric. So the emphasis here was about changing the message to one of the value to service reform and improvement. It was a tension that Lucy Knight from Devon County Council unpicked in her presentation ‘gently lampooning’ attitudes to open data in councils. She stressed the value of understanding the user need for open data (you can help her generate user cases) rather than getting caught up in the “cargo cult” of data dashboards. Thinking about how transparency can drive thinking, it was interesting to hear from a number of projects from Scotland including hackevents and the Scottish Cities Alliance and their approaches to open data. Ian Watt from Aberdeen’s codethecity project noted that Scotland’s councils don’t have the same pressures/demands for data transparency. It means that open data in Scotland doesn’t necessarily have the same idealogical issues. I think that will make for some tantalising opportunities for researchers looking at comparative models for open data. 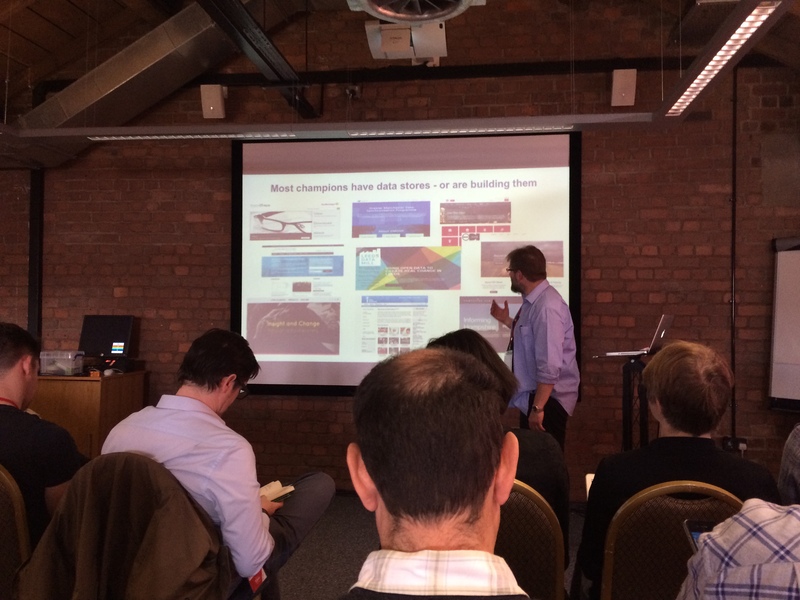 A lot of people in the room where there at the start of the journey in open data. One delegate I spoke to was in the second day of his job as an open data lead and he already felt he was playing catch-up. It speaks volumes of a phenomenon I see a lot of events like this; people always assume the area is more established than it is. The truth is that the diverse nature of local government means this stuff is just starting to trickle down and make a mark. As Mark Braggin’s (formally of Hampshire’s data hub and now one of the organisers of open data camp), taking an agricultural metaphor, reflected: ‘perhaps we can say we are moving from the hand reaping of data to a steam age’. So it was no surprise then that much the most animated sessions (and the people most cornered at lunch!) where those with success stories. 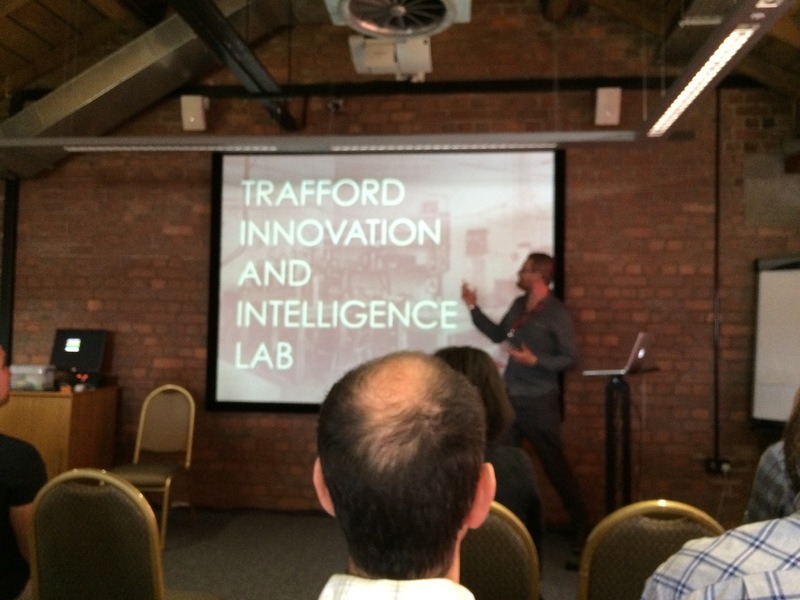 Jamie Whyte from Trafford Council talked about how the Trafford Innovation and Intelligence Lab started and has developed. It was a great presentation that showed how innovation can grow within an organisation and reflected something of a coup for Jamie, who seems to have built something robust and innovative inside a council – something many people would dismiss as impossible. In his presentation, Mark Braggins talked about the broader issues around open data drawing on his experience helping start Hampshire’s data hub. The Hampshire hub seems to be popping up a lot in local government data themed events and it shows how important engagement with communities outside the council (something Mark thought was vital) is. The range of initiatives ‘seeded’ by the hub shows how well that’s worked. When I talked to Mark, he stressed how much effort went into understanding the motivations of those within the council when speccing the original project (you can see the full business case on their site). By keeping on message and keeping costs down it became an easy sell – engagement was the cherry on the cake. Comparing the experiences of the Trafford Innovation and Intelligence Lab and Hampshire hub I was struck by the direction of travel each was taking. Hampshire going out to by default and Trafford building internal capacity and then reaching out. Both open approaches and both working. For a single day, it was a really rich collection of presentations and good conversation. Looking back over what is essentially a week of nothing but open data, I think I feel a little more confident in my understanding of the reality of the approaches (and problems) of selling open data as a value proposition rather than an ideological standpoint. 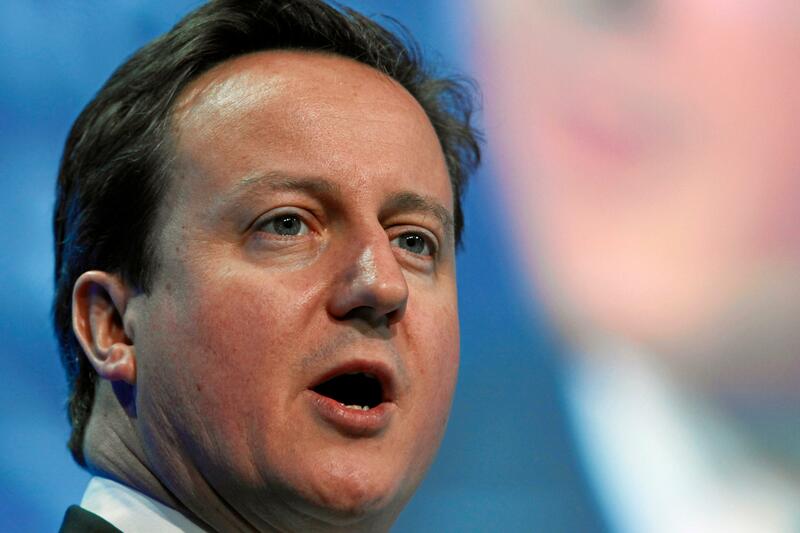 My impression is that it’s essentially a pragmatic one – which makes sense. But, there’s part of me that worries about the democratic affordances of this stuff. As the transparency agenda takes a back seat (or is sidelined) there is a danger that accountability suffers. For the pragmatism that pervades local government to work you need an equally pragmatic citizens. Part of the promise of open data is that can help individuals become that. That’s great for those who can (and have the resources) but for those that can’t we need an accountable, deliberative democracy. For me that’s more about reaching out and being more transparent to the community, telling better stories about what you do, rather than asking them to adjust their expectations.